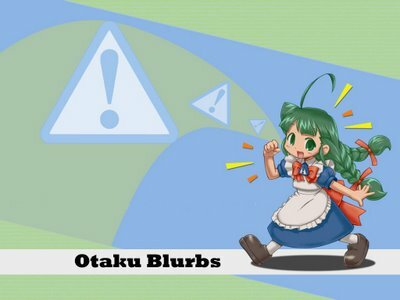 In case you haven't noticed for the past month, as of this post on the right hand side you can find "Otaku Blurbs" Like my role-model DannyChoo's Puchi Blurbs, this little feature lets you state what you are doing right now. Very much like twitter.com's micro blogging but with an added ability. You can put a link to a youtube video and your post will show the thumbnail of it. I did an example a while back showing it.